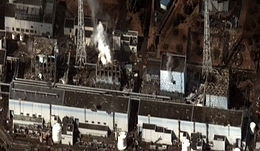 Left: Damaged reactors at Fukushima Daiichi Nuclear Power Station, Japan. Right: President Jimmy Carter arriving at Three Mile Island Nuclear Plant after accident. Just when I thought I'd said about all I could say on aspects of the Japanese government organization and operation, two excellent articles come to my attention. One addresses an issue that I have not directly covered in my previous posts. The second provides more background on an issue I did cover before. I will spend most of this post talking about the first issue, which is the lack of transparency in the way the Japanese government has acted in the past. An interesting article in the Japan Times in the past week highlights differences in transparency in the US and Japan, using TMI and Fukushima as examples. It looks at both similarities and differences. Journalists covering both events described information coming from the respective government agencies as the events unfolded as "chaotic," "confusing" and "contradictory." Part of the real-time problems in both cases may be the almost inevitable confusion that seems to arise when information is coming in piecemeal and being redistributed the same way. In the case of Japan, however, the problems the journalists observed may have been exacerbated by the fact that it now appears that some information was withheld. But what the article observes is the real difference between the two incidents is in the ability to reconstruct after the event what happened and what was discussed as the incident unfolded. In the US, even in the midst of the crisis, and I might add, at a time when the technical options were more limited, the NRC continued to follow the requirement to make records of all discussions that occur when a majority of the Commissioners meet. Because some of these meetings took place at odd times and places, the article reports that NRC staff carried tape recorders that they could turn on any time three Commissioners were present. Later, transcripts were made which provided a valuable record of what the NRC did and did not know. By contrast, the rules in Japan are different. While important decisions must be recorded, until recently, the discussions leading up to those decisions did not necessarily have to be recorded. In particular, transcripts are required for formal meetings but not for impromptu meetings. The legal standing of the group holding the meeting also has allowed many meetings to take place without a record of them being made. The good news is that a new law went into effect at the beginning of the Japanese fiscal year in April that establishes the same recording requirements for all government agencies, and extends recording requirements to cover the whole decision-making process. The bad news is that this law was not in effect in the immediate aftermath of Fukushima. Therefore, many critical meetings were held following Fukushima for which no records exist, and it may prove impossible to fully figure out what did happen in the interactions between the government and TEPCO. As a result, it will be more difficult to assure that any shortcomings are corrected in the future. Japan does have an equivalent to the US Freedom of Information Act--the Information Disclosure Law which has been in effect since 2001. Under this law, citizens can request whatever governmental records do exist regarding the accident. However, the record will clearly have major gaps due to the lack of complete records relating to decisions, and some critics cited in the article believe that government officials will take a bureaucratic anti-disclosure stance. The fact that the world's eyes are upon them may make this more difficult. Time will tell. The second article of interest to me this past week, also in the Japan Times, was about a reformist bureaucrat. Of particular relevance were his views on amakudari, which I addressed in an earlier blog post. The article covers much of what I covered before--that is, the Japanese government is an "up or out" system, so many bureaucrats must leave the government with inadequate pensions and years of productive working life left. The system that has evolved has them outplaced into government-affiliated organizations or private companies that are connected in some way with the ministry where they worked. Therefore, they have a powerful self-interest in protecting and supporting the industries they are supposed to be regulating. The article adds some further details and examples. It also observes that private sector workers may have the same inclination to manipulate systems to their own benefit, but the competition between their firm and other firms helps keep this tendency in check. There are no such "checks and balances" within the government. At present, there is a bill in the Diet (the Japanese Parliament) that would institute some government reforms. However, the article says that the prospects for the success of this bill are uncertain, and in any event, it does not address the system of amakudari at all. This posting will be a little off the usual topics of this blog. It is spurred by an upcoming blog in the ANS Nuclear Cafe that will feature the personal stories of several women in the nuclear field. I am pleased to be one of the women asked to share my thoughts there. I wanted to use my allotment of the space on the ANS page to explain why I think volunteer work for one's professional society is important, and not to take up that valuable space with personal stories. Nevertheless, the exercise got me to reminiscing, so I will tell more of the back story here. My story is not a typical one, and I am not presenting it as a model to follow. Part of this story (along with more than you really need to know about the rest of my career) has already been recounted in the July 2001 issue of Nuclear News, but there is more that I am telling here for the first time. Most people get involved in their technical societies through their technical work. They present a couple of papers, maybe organize a session--and then later, perhaps, go into governance. My path was a little different. When I joined the ANS in 1969, I was a grad student at MIT. I really had very little idea of what a professional society did, but I was told I should join, and the student rate was cheap, so I did. But I did not get involved at all in any student section activities. I finished my doctorate and moved to the Washington, DC area in 1972. The November meeting was in Washington that year, so I prepared and submitted a paper on my thesis, which had been on radiation damage studies using proton channeling. This would be my first paper presented at a professional meeting, and since it was in my local area, I wanted my husband, Mike, to come lend some moral support. I duly registered him for the meeting, and when we picked up the registration material, we noticed something odd. The badge was pink! In those days, the non-technical program for guests of attendees was called the "Wives' Program." My husband turned to me and said, "You ought to do something about this." And so I did. I complained to the management, and the "Wives' Program" became the "Guest Program" shortly thereafter. But that incident started me thinking. I had always assumed that the nuclear field was different from all other fields with respect to gender equality. After all, one of the earliest leaders of the field, Marie Curie, was a woman. Somehow, I hypothesized that this should mean that the men in the field recognized the equal capability of women. I decided to ask ANS if I could test that hypothesis by doing a survey of the female members of ANS. This, of course, required me to ask for approval--and support--for such a survey, and was my first real brush with Society governance. If I would do the work, they agreed to authorize the activity and cover the postage. (There was no e-mail in those pre-historic days, let alone LinkedIn, Google + or Facebook!) In due course, I prepared a survey, ANS sent it out, and I received and analyzed the answers. To my surprise (really! ), the results did not support my hypothesis at all. Women in the ANS suffered all the problems that women in other fields were experiencing at that time. There was even one added issue. Because of the effects of radiation on unborn children, some companies were effectively barring all women of child-bearing age from all activities that might expose them to radiation, just in case. My involvement with the ANS might well have ended there, except that I received a phone call from a stranger one day. She introduced herself on the phone. It was Gail de Planque. She was one of the women who had received and responded to the survey, and now she had a question for me. "What are you going to do next?" "Next?" I replied. I hadn't thought that far ahead. "What you need to do," she told me, "is to put together a special session on women's issues for the upcoming ANS meeting." "How do you do that?" I asked. I hadn't a clue. So she and I partnered and co-chaired a very successful session that covered my survey and a number of other issues of interest to women. In the course of developing and running the session, Gail introduced me to a number of other active members of the Society, and I was getting to know the ropes. Octave du Temple, the Executive Director of the ANS at the time, made it a point to seek me out at meetings and ask how I was doing. A few years later, Clyde Jupiter asked me to serve as Assistant Technical Program Chair for the November meeting when it was again in Washington, DC. I knew nothing about organizing technical sessions, but he was a patient teacher, and being on the conference committee helped me meet other people in the local nuclear community. Shortly after that, I was asked to serve on the Honors and Awards Committee. I knew nothing about honors and awards either, but I realized that being on a committee helped me get approval from my boss to attend meetings, so I said yes. At the time, I worked for a company whose work was mostly classified, and in any event, was outside the mainstream of ANS activity, so presenting papers on my work was not an option. Following that, one committee assignment led to another. I used to joke to my husband that the ANS management noticed I had a lot of energy, and was trying to channel my energy where they wanted it and not leave me to my own devices. Perhaps there was some truth to that, but by the time I started chairing subcommittees, then committees, I realized that managing a volunteer activity was a bit tricky. There is no stick, and there is very little carrot! So you really need someone who has ideas, energy, and follow through. You always do professional society work in addition to your day job, so it's nice to work with people who deliver without a lot of nagging. And someone who can produce a good product and meet deadlines is worth his or her weight in gold. Or maybe in uranium! So pretty soon, I found myself involved in a number of different aspects of ANS. The work was interesting and I got to know a lot of fascinating people I would not otherwise have met. I was awed that I was rubbing elbows with people who were real movers and shakers in the field. Over time, I also learned a lot from side conversations about parts of the nuclear field outside my own. So whenever someone asked me to participate in something new, I always found it hard to say no. I got to know many different facets of the Society--honors and awards, scholarship, planning, program, finance, international. I always started out with very little knowledge of an area, but I invariably developed a strong interest in each area. Although I put a lot of time into ANS, I felt I got a lot out of it, too. I had a chance to do things like prepare proposals and lead activities that I later was able to draw upon when I was faced with doing these types of things in my paying job. For me, involvement in my technical division (nuclear installations safety) and my local section came after service on a number of the governance committees and on the ANS Board of Directors. 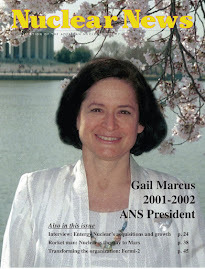 That is perhaps the opposite of how most ANS members get involved in ANS, and while I wouldn't particularly recommend that approach as the optimal one, it certainly worked well in my case, leading ultimately to my serving as president of ANS (2001-2). And the skills I gained, the knowledge I picked up, and the connections I made served me in good stead throughout my career as well. Sometimes, when I reflect back on my service in ANS, the contacts I made there, and the progression of my career, I wonder what would have happened if ANS had not handed my husband a pink badge in 1972! - One reactor in Japan that had been down for repairs was permitted to restart by the local authorities. 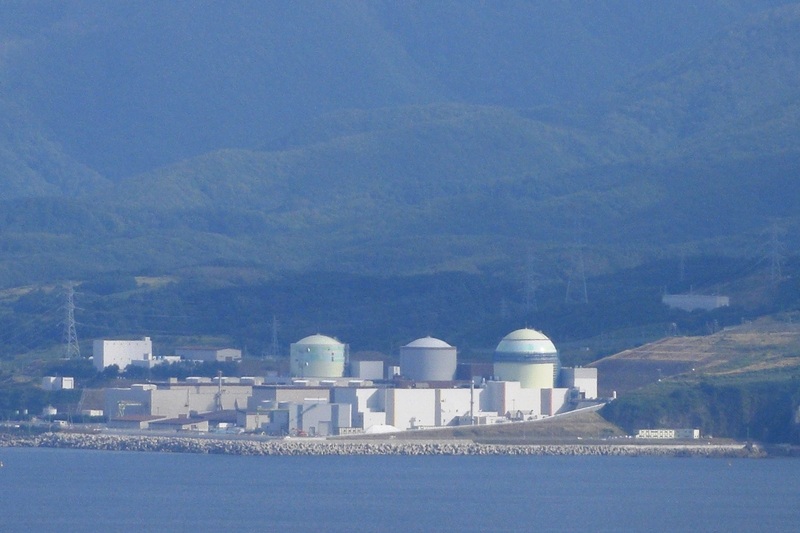 Under the Japanese system, approval from the local government is a step in the restart process after outages at nuclear power plants. It had been expected that local opposition might make it difficult for local government officials to give such approval, so getting that first approval is a positive sign. Of course, other regions and other government officials may respond differently, and any further hiccups at Fukushima could continue to erode public confidence, but for now, there is at least one sign that cooler heads can still prevail in Japan. - The Board of Directors of the Tennessee Valley Authority (TVA) approved the completion of the Bellefonte nuclear power plant. No board members voted against the move. There had been some vocal local opposition, which included demonstrators costumed as zombies, but they did not sway a single member of the board. Bellefonte had been under construction when it was cancelled in the late 1980s, so its resurrection is a welcome sign. - NRC has completed its safety evaluation for two reactors, Summer 2 and 3, proposed for construction by SCANA Corp's South Carolina Electric &Gas and has found no safety issues that would preclude issuing a license for the construction and operation of the plant. A mandatory hearing is still required, but this is a major milestone for that project. - Despite all the rhetoric from New York's state capital, a poll showed that 49% of the residents near the Indian Point nuclear power plant want it to remain open. While some might not find that terribly impressive--after all, it is technically less than half--there is always an undecided group, so this 49% is actually more than the 40% in favor of shutting the plant down. Individually, these are small steps, and clearly, this is no time to rest on our laurels. There is much, much more to be done in all these cases, as well as on many other nuclear matters. Still, having four positive events occur in close succession gives some hope that people are getting past the news of the past few months. That, to me, is a very hopeful sign. A reader said to me recently that it sounded like my recent posts on the Japanese situation were anti-Japanese. I was surprised to hear that, because nothing could be further from the truth. But if he thought that, others might also have the same impression, so I thought I should set the record straight. First, my husband and I have a long-standing love and affection for all things Japanese. We have visited Japan numerous times, have lived and worked there twice, have seen more of Japan's famous sights than many Japanese (climbed Mount Fuji, traveled to Hokkaido, Kyushu, Shikoku and Okinawa, etc. ), and have many, many good friends in Japan. Having lived and worked there, I do feel I have more of an inside view of both its strengths and weaknesses. And truly, every personal trait or national characteristic has both a plus and a minus. On the plus side, as we all saw in the aftermath of the earthquake and tsunami, the Japanese people--as a whole--are more cooperative, more patient, and more polite, even in the face of unspeakable calamity, than many other nationalities. (I say "as a whole" because I realize that any population exhibits the whole spectrum of human behavior, just in different proportions.) I'll leave it to sociologists to explain why, but I have encountered the kindness and helpfulness of strangers many times in Japan. Also on the plus side, I have never seen a more diligent and dedicated workforce. On the minus side, maybe the same communal perspective that encourages people to help each other and to share scarce resources also causes organizations to tend to close ranks and protect each other in the face of a revelation of wrongdoing or misconduct. Maybe the well-known horror at the thought of losing face causes people to try to hide mistakes instead of acknowledging them and fixing them. Since my last posting, new revelations have come to light about attempts by the Japanese nuclear regulatory authority to "stack the deck" at public meetings, so I think I can stand by my previous observations. I suspect I could draw up a similar set of pluses and minuses for American workers, but the U.S. is not as much in the spotlight at the moment. The point of bringing these things up is not to try to trash the Japanese character. 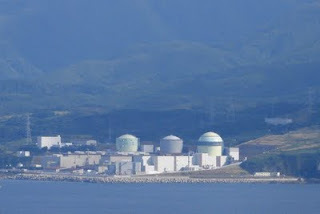 It is just to try to share my perspective on why events have unfolded as they have, and to point out some of the behaviors that should be considered closely in making decisions about how to revamp the Japanese nuclear industry and its regulators. Just as an individual can train him- or herself to suppress certain behaviors and to emphasize others, or to exercise somewhat different behaviors in different situations, so can an organization. As the Japanese are grappling with the aftermath of the Fukushima incident, I hope the insights I have offered and may continue to offer can provide some suggestions about what to do in the future. The discussions that have been going on in Japan regarding the need for greater independence of the nuclear regulatory organization have, to date, focused mainly on the organizational independence. There are really at least three types of independence that are important--organizational independence, independence from the licensee, and ability of staff to assess the technical situation independently. While these have been discussed separately, it is worth considering them together. This blog post will look at the role each of these characteristics plays in creating an independent agency. Organizational independence is, indeed, important. I have addressed this issue previously, as have others. The placement of the organization within a government's structure does matter because of both the perception and the real possibility that a regulatory organization that is subordinate to other government functions could be subject to pressures to slant its judgments to help support the other missions of the parent body. For example, there could be concerns that a safety issue is dismissed to help assure that power demands can be met. Many other countries originally had regulatory organizations buried within promotional ministries or departments, much as Japan's Nuclear and Industrial Safety Agency (NISA) is buried in the Ministry of Economic Trade and Industry (METI). Most have now separated these functions. I have previously written about my concern that the Japanese system of amakudari makes it difficult for the regulator to maintain true independence from its licensees. This system, which I believe is unique to Japan, institutionalizes the movement of government employees from an agency into companies regulated by the same agency. People often counter this concern by noting that people move between the government and industry in other countries as well. This is true, and some movement between sectors is probably even a good thing. We all need to understand the issues, constraints, difficulties, and concerns faced by the people and organizations with which we interface. However, in other countries, such movement between sectors occurs in both directions and is based on individual initiative. In fact, there are often even some temporary restrictions on the activities of government officials who move into the private sector. But most importantly, such moves are not managed by the personnel department and do not depend on coordination between government and private organizations as is the case in Japan. Another characteristic of the Japanese government is that the majority of the government employees are generalists. Although the Japanese government does employ some specialists in different fields, the majority of staff, even in highly technical areas, do not have technical degrees or experience in technical fields. Furthermore, the government employment system operates much like the US military and diplomatic personnel systems operate--that is, individuals are rotated to positions throughout their agency, and sometimes to other agencies. Because of this, they do not become specialists in a single area, even after a career in one agency. As a result, government agencies have come to rely heavily on committees of outside experts. Japanese government staff is overly reliant on the advice and is unable to develop any of their own independent assessments. Therefore, they may not be able to recognize it in the hopefully rare case where an expert adviser makes an error. Of course, regulatory agencies in other countries use expert advisers and expert contractors as well. The difference is that the staffers in other countries are capable of reviewing the technical materials developed by others and making independent judgments. It has occurred to me that some of my previous posts may sound too much like I think I have a neat set of answers to "fix" the Japanese nuclear program. In trying to make certain points--and to keep my word count under some control!--I have sometimes not gone into all the ifs, ands, and buts to some of my observations. In particular, I want to step back slightly from any impression that I have tried to present a "how to" for the Japanese government or the Japanese nuclear industry. Most especially, I want to make sure no one thinks that citing a model in the United States or Europe is intended to imply that the model should be copied completely. The ways in which the nuclear industry and government structures have evolved in each country are a complex blend of the history of nuclear power development in that country, the legal structure, and the typical government organization and staffing. Therefore, it would be difficult, if not impossible, to simply duplicate the institutions and practices of one country in another. In fact, I would go farther and say that, even if certain things could be duplicated, they might have unintended negative consequences of their own, simply because a forced fit is probably a bad fit. 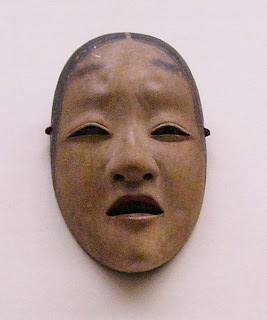 To be specific, many have criticized the Japanese government practices of amakudari (early "retirements" from the government to positions in the industries the government agencies control) and of staffing government organizations with highly technical missions with staff who are generalists. In some cases, I have expressed by personal view that some of these practices (particularly the practice of amakudari) need to be changed throughout the Japanese government. Obviously, that is a tall order and may not be the fastest or most practical way to implement the needed change in the nuclear regulatory agency. In the case of the use of generalists in technical positions, clearly the Japanese practice of using expert committees was an effort to overcome the deficiency of technical talent in the agencies. However, it is my view that this has not proved sufficient. The government does hire some specialists, so it would seem that an alternative solution would be to increase the fraction of specialists. Possibly some better career paths would have to be developed. This would not necessarily follow US or any other national practice, but could be structured to accomplish the same goal--that of assuring that there are staffers within the government who have an independent capability to understand the technical arguments presented to them, whether these are arguments made by the regulated industry, outside technical researchers, or expert committees. One thing that is very different in the United States is that our nuclear power program is a product of our World War II weapons development program. Part of the legacy of this program is an extensive infrastructure of national laboratories with numerous experimental and test facilities and a large staff of highly trained technical people. Thus, the US Nuclear Regulatory Commission and the US Department of Energy have access to a unique repository of experimental and analytical capabilities and use them on a regular basis to contribute to policy deliberations. In addition, of course, the US government agencies have access to a large academic reservoir of talent. Even with all this capability, the United States is turning more and more to collaborative arrangements with other countries for research. In part, this is because many research facilities in the US have shut down over the years, and other nations, in some cases, have newer facilities. In part, many countries have come to realize the benefits of sharing the costs of expensive research efforts and of pooling the top talents of several countries. Therefore, the fact that other countries may not have the equivalent of the US national laboratory infrastructure does not mean that they cannot participate in cutting-edge research activities, and does not mean that they have to try to reproduce a US-style set of national laboratories. Where I have cited the US national laboratory infrastructure, the message should be that there is a need for strong technical support. The ways in which this support can be developed and provided will vary from country to country. It would be far neater and more satisfying, I suppose, if I could come up with an exact recipe for what the Japanese should do. However, I can't. I may have developed a pretty good understanding of some areas of Japanese activity related to my own interests, but I'm not sufficiently expert in all the ramifications of the Japanese government personnel system or the entire spectrum of the research community to give precise formulas for anyone to follow. Specific measures need to be developed with inputs from experts in all these areas. What I hope my previous posts have done is to outline what I see as some fundamental concerns that I have had, and that others may share. My hope is that these insights can be useful at this time, when the Japanese are making many changes as a consequence of the events triggered by the March 11 earthquake and tsunami.